Welcome back to a new year of Wittle People Wednesday. 2013 seems to be off to a running start. I still haven’t been able to check out your Memories, Dreams and Reflections posts (I will though, I promise)…nor have I checked out any of the Top 12 of 2012 posts. Between the holidays and family visits…and Felicity’s latest lack of sleeping adventures which I’m blaming on teething, I just haven’t had much computer time. I’m sure it’ll get better – it’s got to, right? 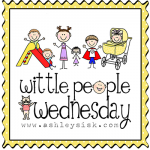 Today’s Wittle People Wednesday is all about eating. At six months old, we’ve entered the wild world of solid foods. Felicity actually loves sitting in her high chair and we’re still wondering what took us so long to set it up. 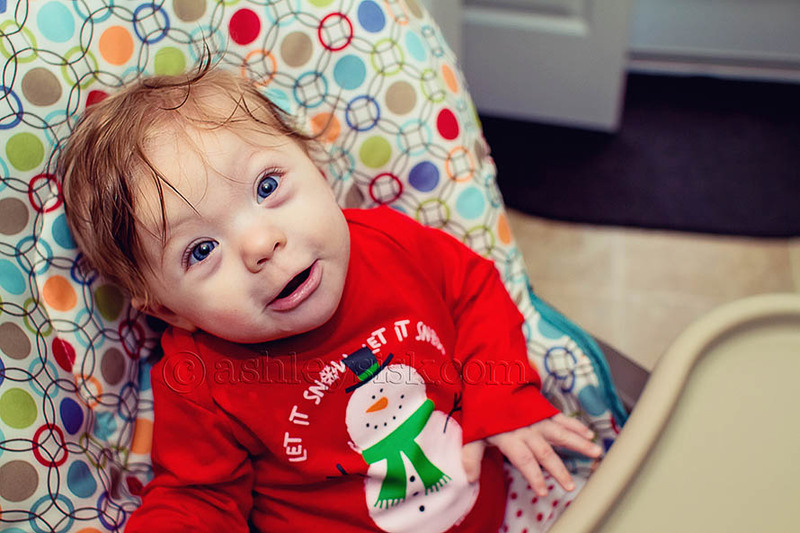 If I need a break from entertaining, I will often put her in her high chair and let her do a little independent play. She feels like such a big girl in it. So far, we’ve tried sweet potatoes, pears, apples, squash, bananas and prunes. Felicity loves apples and pears…surprisingly, she also loves prunes. I don’t think I’ve ever eaten a prune. I mean, I love raisins…but, for some reason, I always thought of prunes as gross. However, I refuse to feed my baby anything that I won’t try myself which means that I have also now tried prunes. Not bad…who knew? 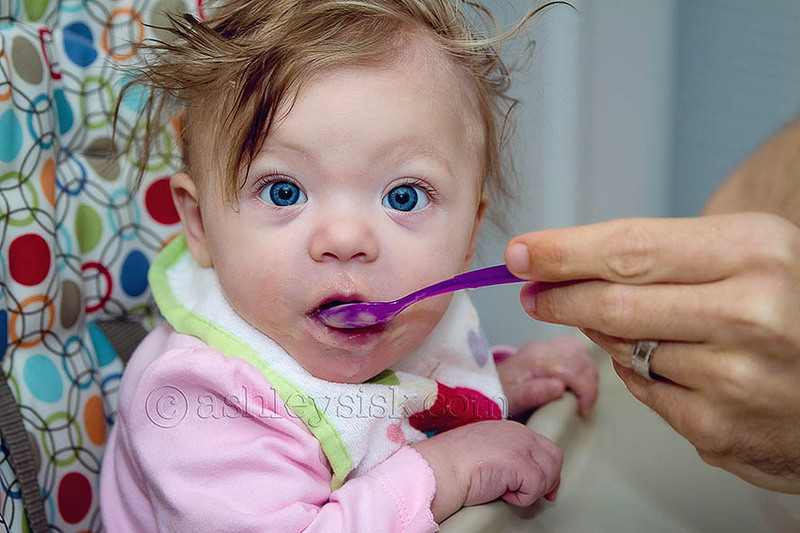 Yes, my girl does love to eat…but she also loves to nurse and we’re not giving that up anytime soon. However, there’s something about all three of us sitting around the dinner table eating together that I’m really loving. Perhaps it’s the fact that she’s no longer sitting in our laps and trying to grab our food…either way, I’ll take it!